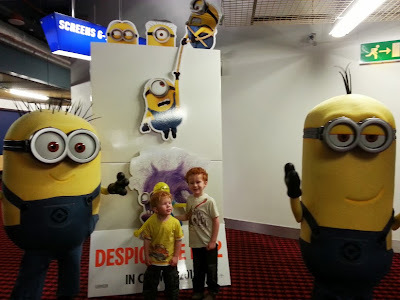 "Me, me, me, please let us come, we'll love you forever, Despicable Me is our family favourite and we all think it's totally cool and it'll be an event to remember forever and it'll make Father's Day perfect for my partner because he adores it". Thankfully I actually submitted a far more sane and sensible application, and we were chosen as one of the successful families for the Manchester Printworks showing. 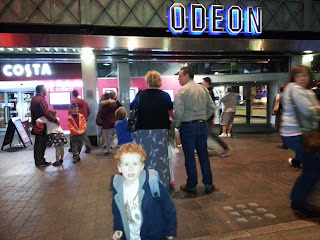 Incredibly excited - he didn't want to stand still for a photo! 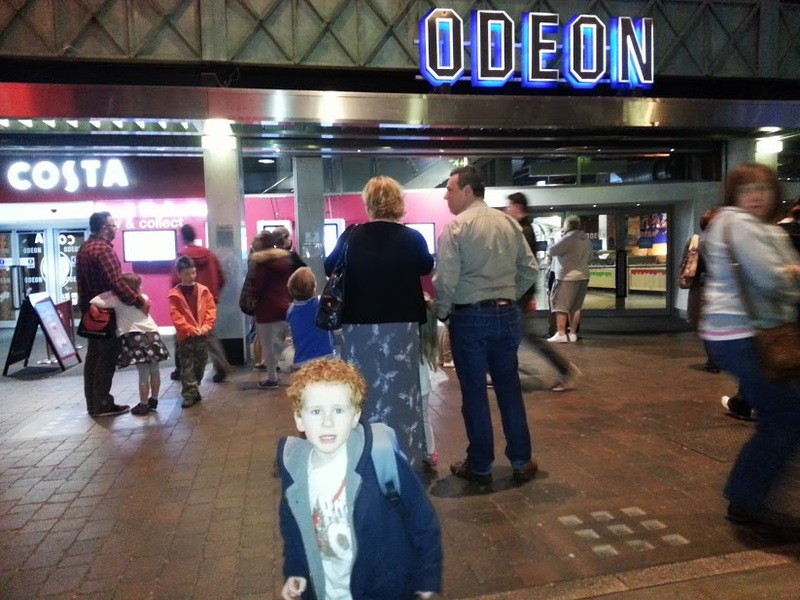 At 9am this Sunday morning we made our apologies to the teenagers (the maximum and fair allocation was 4 tickets per family) and we set off for the Odeon Cinema to watch a movie about a very special Dad as a very special treat for Father's Day. 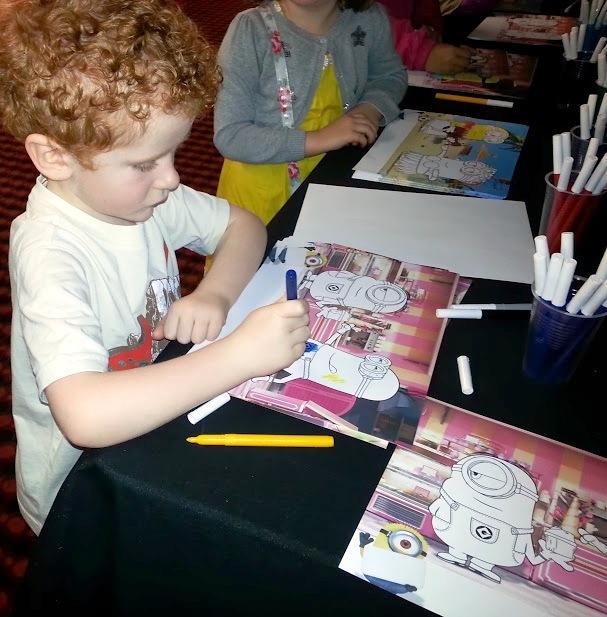 Mumsnet had arranged a real spectacular, with balloon-modelling, colouring sheets, a chance to try out the Despicable Me Minion Rush game app (available to download free for Android and IOS) and a 'meet and greet' with two real life minions! Competitive Dad getting the new high score! 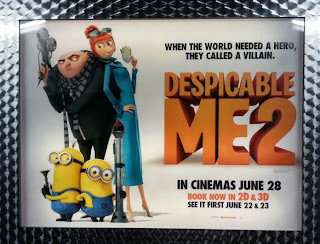 Despicable Me tells the story of Gru, a master villain who through a few turns of fate finds himself as a Father to 3 young girls, he then gives up his life of crime due to their influence. In Despicable Me 2 we find him and his minions with a legitimate Jam-Making business and living a quiet life with the girls. Obviously all of this is about to change, and in comes the very lovely Lucy to turn his life upside down in more ways than one. 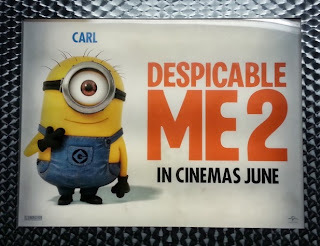 Although it's a sequel, the first film is explained in a few easy sentences very early on, so even if you've never seen it, you can watch Despicable Me 2 as a standalone movie without any problems. There are the familiar mix of jokes for children and other jokes which go over the children's heads and make the adults chuckle, the fabulous soundtrack headed by the heavy basslines of Pharrell Williams, and the brilliant characters voiced by the likes of Steve Carrell, Ken Jeong and Russell Brand. The film has a lovely pace, with no 'boring bits' to lose the interest of the younger audience. There is always something going on, the minions making a joke or falling over in the background, children playing at the side of the screen or funny faces being pulled. The story is very easy to follow, the language usually very simple and accompanied by very descriptive visuals, so even my 3 year old can now tell you the entire story start to finish. This is as good a sequel to any movie as you can ever hope for. It doesn't disappoint and there is nothing forced about the storyline whatsoever. It introduces interesting new characters and plotlines, but still has all of the old favourites - including the multitudes of minions! 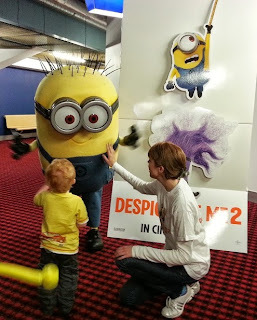 Still not entirely trusting the live minions! We watched it in 3D and it was incredibly effective. Stay until the end because the titles have several fantastic effects over them - the bubbles especially are the best 3D effect I've ever seen - every child in the cinema was trying to pop them! We all loved it, we'll no doubt have the Blu-ray within days of it's release and it'll get as much play as the first movie has done. A definite 5/5, I can't wait to see it again! 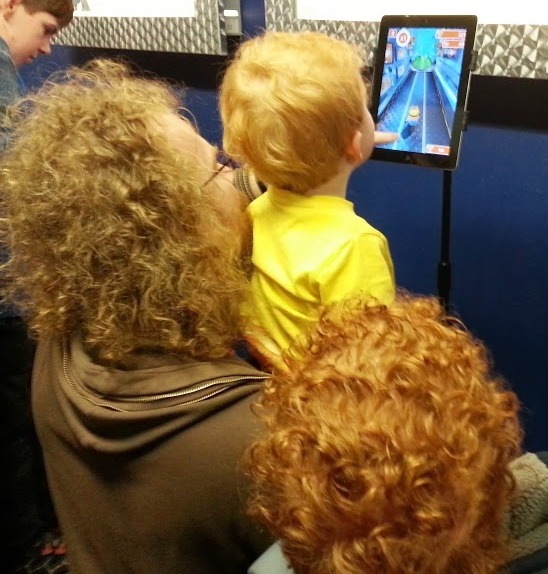 We were lucky enough to be picked from the applicants to Mumsnet for this early showing. Mumsnet is a free online group offering support, advice and discussion for parents and other people who care for children. Sounds great! I havent seen the 1st one but might be one to look out for. I love preview screening like this, so much better than just going to the normal cinema :p but as we never got ticket we might go to the normal one. 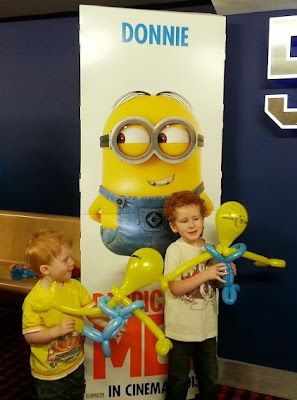 my boys just got despicable me 2 toy from happy meal yesterday so they will get interested in it now! Sounds fab! We loved Despicable Me too! Great film. Sounds great! I didn't get into the first one but know the boys in the house love it! Sounds like lots of fun was had too! 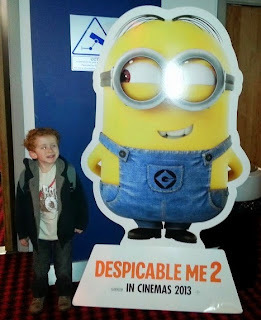 It is really a fabulous film that boys can get right in to - despite 3 of the main characters being little girls! There's a much bigger female role in this one, but I don't think it makes it any less attractive to blokes! we are watching it soon! my kids love the first one! Oh My WOrd that is awesome! I wouldn't have been able to resist the 'please, please, please, please with cherries and kisses on top email'. 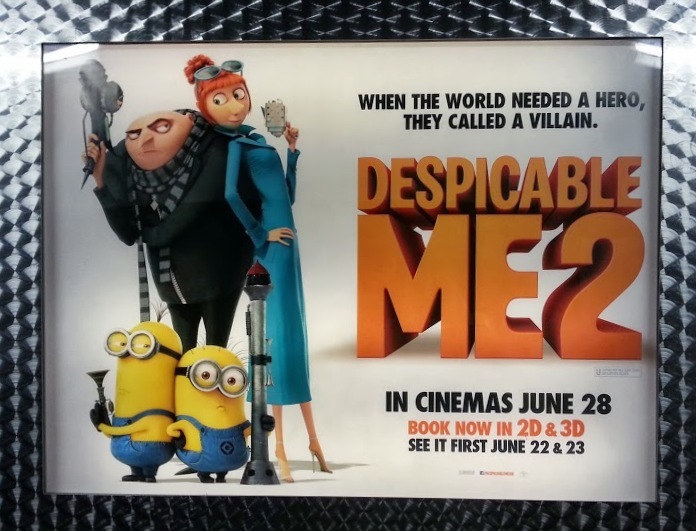 Despicable Me is a firm favourite here too and number two is definitely on the 'to watch very soon list'. By the way, did you bring me back a minion? :D Hahaha. I'm not sure how simpering my real application actually was, but I think it was probably pretty close! Looks like we need to watch the first one! I soooooo want to see this toooooooo!!! What a fab time at the cinema, looks like your little boys had a great time!! I sooooo want to watch this - LOVE films that entertain the kids and the adults too! Looks FAB!!! Ditto! I love it when they like a film I can watch without cringing - or crying!